The Big Walnut Education Foundation, Inc. estimates that it will be awarding approximately $90,000 in scholarships to Big Walnut students this year. The Education Foundation is a non-profit 501(c)3 organization begun in 1994 and controlled by a board of trustees from the Big Walnut community. Through generous donations and fundraising events, the Education Foundation continues to grow and hopefully increase the amount of scholarship awards each year. In 1995, $6,000 was awarded in scholarships; in 2018, $90,000 was awarded to 57 students. Since 1995, The Foundation has awarded scholarships totaling over $1,667,500. A complete list of 2018 scholarship winners is available in the BWHS School Counseling Office. Applications are now available on Naviance or in the BWHS Counseling Office for all of the Big Walnut Education Foundation College Scholarships. Members of the Class of 2019 may apply for scholarships for college and other accredited post secondary programs. 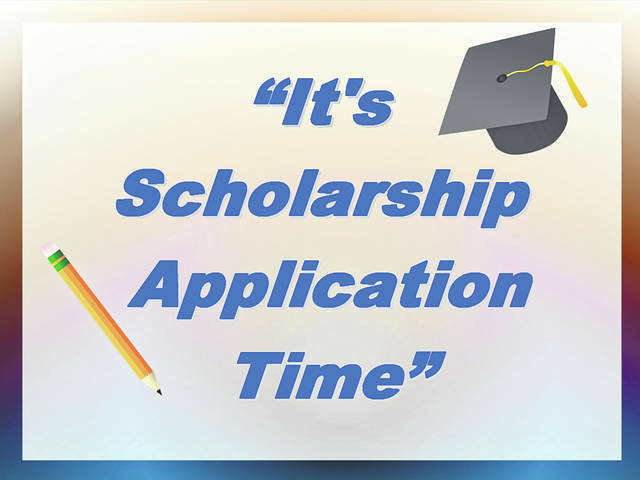 Additionally, the Continuing College Scholarship is open to graduates of BWHS who are currently enrolled full-time at an accredited college or university and carry a 2.5 GPA or better. Continuing College applications are are available online at www.bigwalnuteducationfoundation.org. The student applying for the scholarship must complete the application, include an official transcript, complete a copy of FAFSA, and submit enrollment verification for the fall of 2019. Applications must be returned to the School Counseling Office by Friday, April 5, 2019. Please contact the School Counseling Office at 740-965-2243 if you have any questions or visit www.bwls.net for more information. The Delaware County Foundation is accepting scholarships for graduating high school seniors. The application deadline is March 4th, 2019. Last year, more than 200 scholarships were awarded in excess of $300,000. All applications are on-line and available on the Foundation’s website at http://www.delawarecf.org/grants-scholarships/. Scholarships are available for those attending four-year degree granting programs as well as scholarships for associates degrees and vocational education. Scholarships range from $500 to $5,000. Some scholarships are renewable with an annual application. Scholarship recipients are announced in the spring at high school awards nights throughout the county. In addition to the scholarships available to graduating high school seniors, there are scholarships for college sophomores, juniors, and seniors from Delaware County who are enrolled full-time. Applications to these scholarships are due on June 3, 2019. For any questions about applications or contributing to a scholarship fund contact the Delaware County Foundation at 614-764-2332. Information for this story was provided by the Big Walnut Education Foundation and the Delaware County Foundation.